This last month I have been busy working to get ahead on some projects and get some fun things planned for my family for when we first move! We are moving this week, 4 hours away, to an area where we basically know nobody. So, I wanted a fun activity to start with my boys and do throughout the summer as we meet new people! We’ve had lots of fun with our past summer activities, but I wanted to try a new way of choosing them this year. Especially, where my boys are getting older and are going to be able to be a little bit more hands on with activities! This idea is similar to Lisa’s Summer Jar idea, but I wanted to make it a little brighter and also divide our activities into areas! After I painted the sticks I wrote the numbers on the bottom of the sticks. 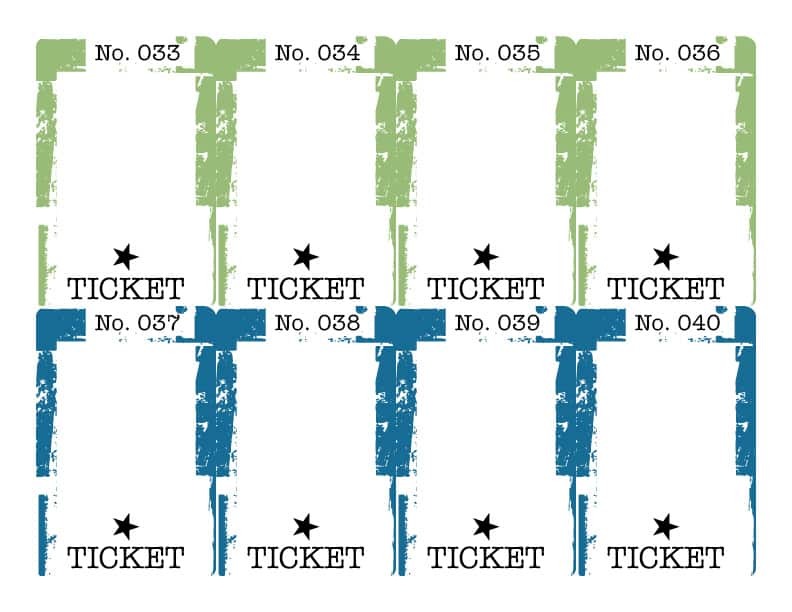 Make sure when you number the sticks you match the number you write on the stick to the right colored stick that numbers match what are on the printable cards… so for example numbers 1 through 12 need to be written on the Orange sticks! I also designed printable cards with all the ideas I came up with. Some of them have Northern Utah (Salt Lake and Utah Counties) specific places to go. So, for that reason I am also offering a blank version of the cards, so that you can customize them to your ideas and your location. You can either import them into Photoshop to type the locations on the cards or you can just write on them with a marker. Feel free to download both sets and use some of my printed cards and fill in with your customized cards! 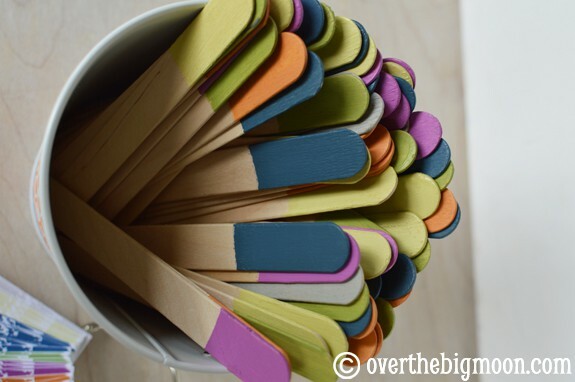 How it works: Each Sunday we’ll choose 5 popsicle sticks – one of each color. We then find the coordinating cards to see what the activity is. I then take my schedule and the weeks upcoming weather into consideration and we plan what day we are going to what activity! So, some weeks we will have our cooking day be Monday and other weeks it may be Thursday! Here are the activities that I came up with. I have linked each idea to the source! Pool Noodle Marble Run: I’m going to have to build a couple of these, cause I have a feeling that they’ll be used throughout the whole summer! Design a Shirt: A few months ago my husband had a picture my son, Nathan, drew printed on a shirt as a surprise for him. Nathan of course loved it, but had one complaint – “Where’s a shirt for me?” haha 🙂 So, I thought it would be fun to let them design a shirt and get it printed for them through Cafepress.com. Depending on the shirt quality you choose it will cost you $15+ per shirt with shipping. To help the kids understand that this is a “big” activity, I am going to include some chores on this day that they do to help pay for it. Spray Chalk: My boys like anything in a spray bottle – so I know this will keep them entertained for a while! Be sure and look for spray bottles ahead of time at the dollar store! That way you can have several bottles ready and mixed! Toilet Paper Roll Bird Feeder: Time to start saving the toilet paper rolls! How fun will this little activity be? Plus, it’s not too time consuming. So, this will be a great activity to squeeze in there on a busier day! Build a Blanket Fort: Gather those blankets and books and make a family blanket fort! This animated tutorial over at WikiHow is cracking me up! Nature or City Scavenger Hunts: Find a free printable for both the Nature Scavenger Hunt and City Scavenger Hunt over at No Wooden Spoons! Egg Carton Bugs: I loved these tutorials from Ginger Snap Crafts when I first saw them last year, but with Dylan being a brand new baby we never got around to making them last summer! So, I’m excited for my boys to get to do them this year! 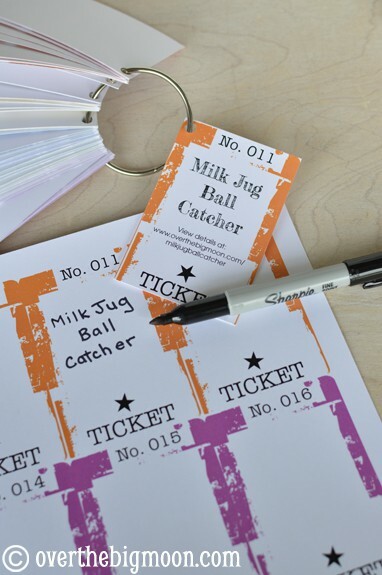 Milk Jug Ball Catcher: The great thing about these Milk Jug Ball Catcher is that even after the day we do this activity I know the kids will get these out and play with them again and again! Check out this tutorial from Lakeshore! Ice Excavation: We’ve done this activity a lot, but my boys never tire of it! My advice – freeze twice as many cups and bowls as you originally planned! They like to use different tools with each block! Chocolate Chip Cookies (My kids favorite)! Mini Puffy Oven Pancakes – my kids will love this, because they LOVE cracking eggs! To make them mini, we just put the batter in cupcake pans and cook them the same way! Dirt Cups – I’m going to use this recipe for Dirt Cake, but make them into cups instead! Strawberry Shortcake Kabobs – My boys will love assembling these! Pineapple Meatballs – My kids prefer eating meatballs with their spaghetti, so I figured why not stock my freezer with some meatballs with the kiddos help! Plus, they’ll love getting their hands dirty! Vanilla Ice Cream – We just got a new ice-cream maker, so we are going to try this Vanilla recipe. If you are needing a good recipe that doesn’t require an ice-cream maker, then try Lisa’s 4 ingredient Raspberry Shortcake Icecream recipe! It’s amazing! Sugar Cookies – My boys love making sugar cookies! Me on the other hand – they’re not my favorite! But, I can’t resist adding them to my list, because the boys love using all the fun cookie cutters! This list only includes places in Salt Lake and Utah County, Utah. 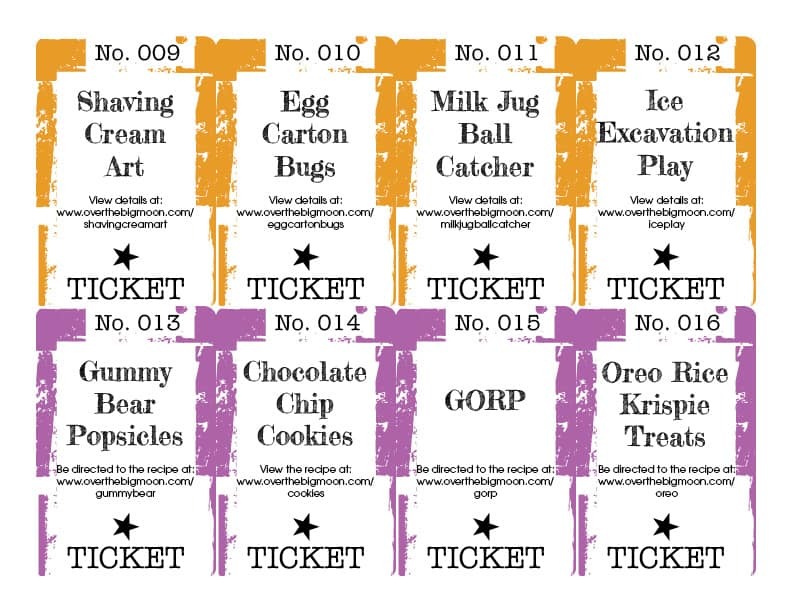 I am also including a printable set of blank cards, so you can customize your own Field Trip cards! Great Harvest Bread Co. – Call ahead to make an appointment! They let the kids shape their own dough and take a tour where they teach them how they make bread! Visit a Farmers Market – location will vary each month. Google your area to find a nearby location. Some of the activities below are specific to our area, but some are activities you can do at your home! So, if you are outside Northern Utah you will want to edit and print some of the blank cards to make them specific to your area! Water Balloon Day of Fun: This amazing post from Learn, Play, Imagine is sure to be a day remembered by my boys! I’m even excited about it! 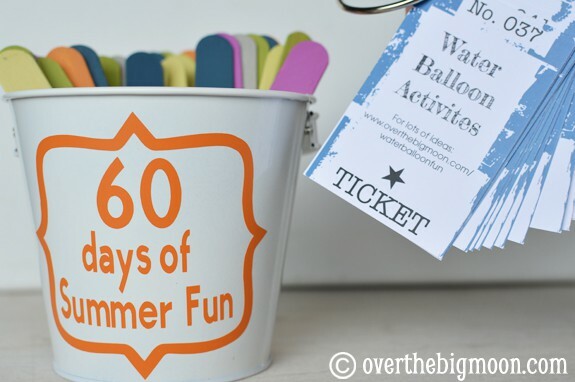 Water Ballon Piñatas – My kids are going to LOVE this!! Rainbow Ice Outside Painting and Outside Pool to wash off after! Rain Clouds and Tornado in a Bottle: I’m hoping I can some how convince the boys to pull this stick on a rainy day! It just would be lots more appropriate and fun to look out the window and compare! Ivory Soap Experiment: Most of you know this science experiment, but believe it or not I haven’t done it yet with my kids! I thought this year it was time to try it! 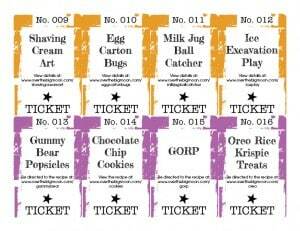 Bern over at Mom to 2 Posh Diva’s has a great site with lots of kids activities! Glow in the Dark Water & Water Beads: Learn, Play, Imagine shared some great ideas for Glow in the Dark activities and I decided this would be the one we tried this summer! I wouldn’t be shocked if this became a regular activity they requested though! They’ll love this! Ice Fizzing Letters: I am excited about this one, because it will allow another opportunity to practice letters with Jeffrey in the summer and work on spelling sight words with Nathan! Plus, after that they will still get to do a fun activity! Dinosaur Land w/ Fizzy Mud: This would keep my dirty boys happy for a few hours – that’s for sure! I have also included a couple SILVER sticks in the bunch! They are special activities, that I will announce to my boys that they get to pick on special occasions! For example, when Grandma comes into town or a week that Dad can take a day off! On the cards it either lists a URL that links you to a post of ours, a field trips locations website or a link that forwards you onto the website that gives you a full tutorial (because standard URL’s are so long, I created a shorter link that automatically forwards you onto the authors website). The above list does link and sometimes gives a description of the activity or place. 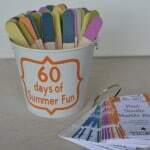 Also, here is the link to the 60 days of Summer Fun Vinyl that I put on my little bucket available for you that have a Cricut Explore! Thanks to Vanessa from Our Thrifty Ideas for helping me get this cut, cause I had already packed my Cricut Explore when I went to make this! Looking for other summer themed ideas- check out: Summer Fun Calendars, Summer Chore Charts, What We Do in the Summertime and Summer To-Do Lists! 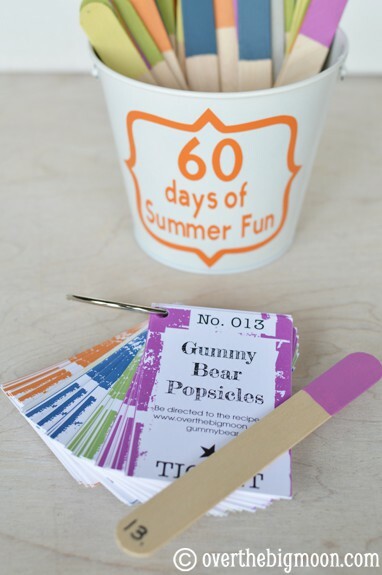 I hope this helps you get organized for a fun filled summer! I know I’m excited to get started! Have a great weekend! Thank you so much for all of this. I will be watching my grandsons for 3-4 weeks this summer. This will really help me keep them busy. Thanks so much for this! I already got started on our own similar adventure, but I love your ideas and am looking forward to implementing some of them! Yay! You guys will love it! Have a fabulous summer! I love the paint colors and finish! What type and brand of paint did you use? They’re from Lowes – Valspar brand! I actually just got the little sample jars for like $2.50 each! What a great idea! I love how it is color coded. How cute! 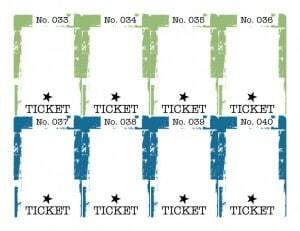 What do you use the tickets for at the bottom? LOVE THIS!!!!! I am so excited! I had already printed out science experiments for the summer, but that is as far as I got! I know what I am doing this week! Thanks for the great idea! I see a really fun summer in our future! LOVE these ideas! I like the comment about breaking them into time sections. And the other commenter who mentioned service projects. I think we’re going to do water balloon day of fun today! Many thanks for this. You put together a well thought out an organized way to spend the summer. Hope you and your family have a great summer…!! !